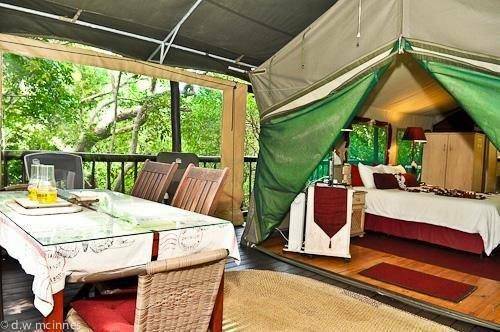 The magic of Thandulula Luxury Safari Tents, ideally situated in Southport on KZN South Coast will create lifetime memories where you can enjoy nature without sacrificing luxury, comfort or safety. YES, the words of our slogan “We Dare to be Different” says it all. Our canvas and log accommodation are indeed totally different to the normal holiday accommodation. It is a taste of nature and style. Although there is flowing, well-kept lawns, nature can be experienced to the full, and one can still get the distinct forest feel alive with abundant bird life. The regular call of the fish eagle, the strange, peculiar call of the Hyrax, commonly called tree dassie, and the regular visitors, the small beautiful little blue duiker, are all inherent to Thandulula. 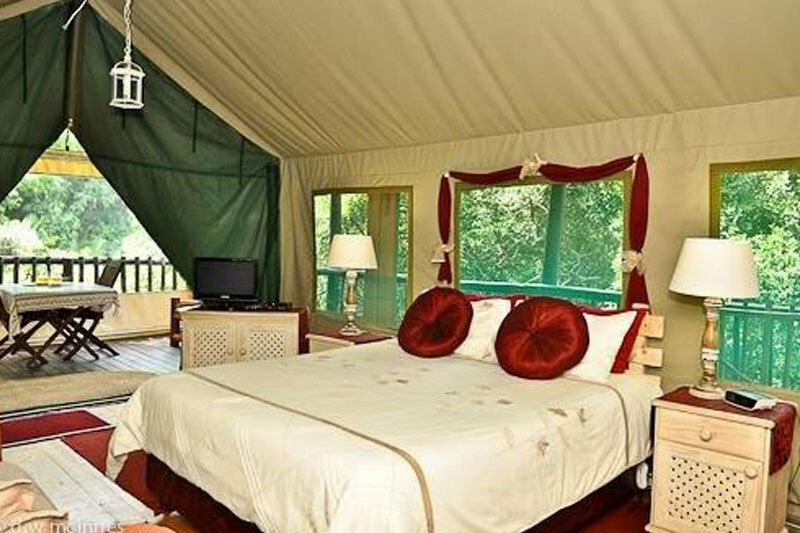 Click here to read more about Thandulula Luxury Safari Tent Accommodation.